Пристанище Варна бе предпочетена дестинация за първото плаване на най-новия в света ултралуксозен лайнер. 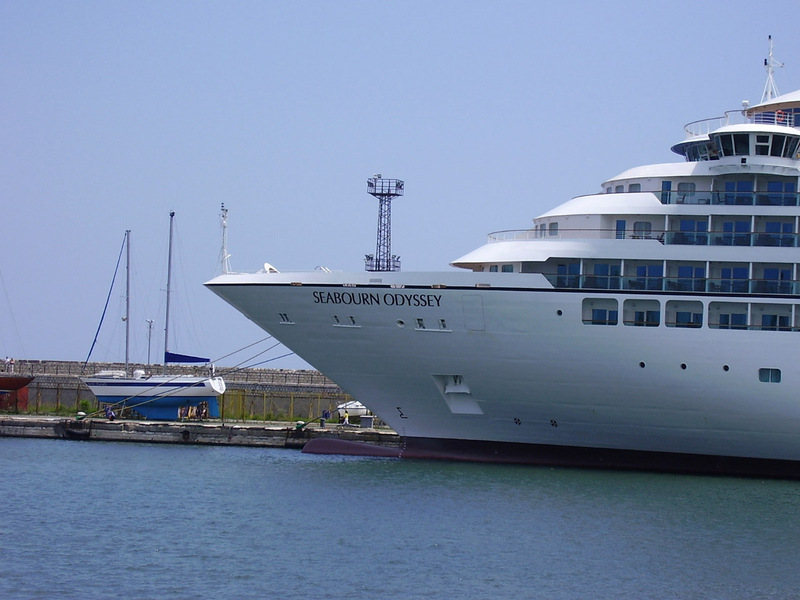 Той се нарича Seaborne Odyssey и е собственост на компанията Seaborne Cruise Lines. Суперкорабът акостира за няколко часа на морска гара и отплава завчера. Корабът е построен в корабостроителницата T.Mariotti (Генуа, Италия). Дълъг е 199 м и има водоизместване 32 346 тона. Разполага с възможности за приемането на 450 пътници в 225 луксозни кабини, 90% от които разполагат със самостоятелни тераси. 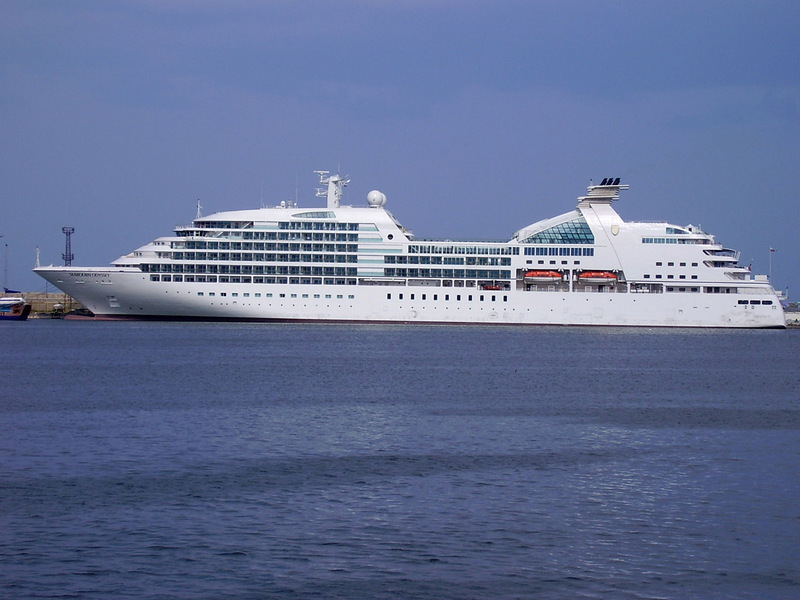 Корабът е първият от серията от общо три лайнера, поръчани от Seaborne Cruise Lines. Вторият ще бъде пуснат в експлоатация през 2010 г., а третият – през 2011 г., предаде „Морски вестник“. Във Варна Seaborne Odyssey пристигна, след като вече бе гостувал в Истанбул и Одеса. На борда му има 401 богаташи, 208 от които от САЩ, 50 от Великобритания, 32-ма от Канада, 29 от Австрия, а останалите – от други държави. В екипажа на кораба, който се състои от 340 души, има и 5-има българи от изпълнителския състав. Капитан на кораба е италианецът Карло Буер, съобщи началникът на морска гара Варна кап. Валентин Китанов. След престоя си във Варна Seaborne Odyssey отплава с курс Босфора. Smolyan. Bulgaria is a highly respected NATO member with a large participation in missions abroad, Solomon Passy, who is chairman of parliamentary Committee for Foreign Policy and one of the candidates for NATO Secretary General and, said in an interview with Focus – Smolyan Radio. He says Bulgaria’s participation in the mission in Afghanistan is one of the most important ones. Bulgaria is one of the countries with a considerable defense budget. In NATO we rate sixth in terms of defense budget, while in the EU we rate fourth. This parameter has to be taken into account, he added. “It is another question, and this is my opinion, that the budget should be spent more efficiently. It should be optimized. However, there are issues that have been piling up for dozens of years and they cannot be solved for one, two or five years,” Passy said. London. The US Air Force has disciplined 70 service personnel after nuclear warheads capable of unleashing the equivalent of 10 Hiroshima bombs were mistakenly flown across the US. A Pentagon investigation found that air and ground crews took a "lackadaisical" approach to vital safety checks put in place during the Cold War, The Independent reported. In the incident on 30 August, a B-52 bomber took off from the remote Minot Air Force Base in North Dakota with 12 cruise missiles that were being taken out of commission and scheduled for burial at the opposite end of the country at a Louisiana air base. The warheads on the decommissioned missiles should have been replaced with dummies of the same weight, but personnel failed to notice that six of the 12 were fully operational nuclear warheads. 2007-10-21 - Vice-Admiral Emil Lyutskanov leaves on a five-day visit to..
Sofia/Oslo. First deputy chief of the General Staff of the Bulgarian Army Vice-Admiral Emil Lyutskanov will leave on a five-day visit to Norway, the press office of the Ministry of Defense announced. Vice-Admiral Emil Lyutskanov will take part in a conference dedicated to the strategic military partnership, which will be held on October 22 – 25 in Tromso. Washington. US Defense Secretary Robert Gates left for Europe late Saturday for a series of high-stakes meetings on sensitive issues such as Washington's planned anti-missile installations and US ties to Turkey, AFP reported. Gates is to spend Sunday and Monday in Ukraine, a senior Pentagon official said. He will meet its Western-leaning President Viktor Yushchenko and seek his backing for the missile shield plans in the face of fierce opposition from neighboring Russia. Yushchenko, who has struggled with challenges from political rivals more sympathetic to Moscow than to his pro-Western stance, has ruled out allowing parts of the US missile shield in Ukraine, but has not condemned the plan. On Tuesday Gates will visit the Czech Republic, where the United States aims to put a radar station as part of its Europe-based shield against possible missile attacks from countries such as Iran and North Korea. On Wednesday and Thursday Gates will be in the Netherlands for an informal meeting of NATO defense ministers. He is expected to ask countries to send more troops to patrol Afghanistan, where international forces are battling an insurgency by extremists of the ousted Taliban regime. Gates' tour wraps up on Friday with a visit to Heidelberg in Germany, where the US Army has its European headquarters. Brussels. EU foreign policy head Javier Solana will meet Iran's chief nuclear negotiator in Rome next week for talks aimed at drawing Tehran back into negotiations over its controversial nuclear programme. An EU official said Solana, who has a mandate from the five permanent members of the U.N. Security Council -- Britain, China, France, Russia and the United States -- as well as Germany, would meet Ali Larijani on Tuesday. Major powers have agreed to delay new sanctions against Iran until November to see whether Iran's deal with U.N. inspectors to clear up suspicions about its intentions yields results and to await a report by Solana.